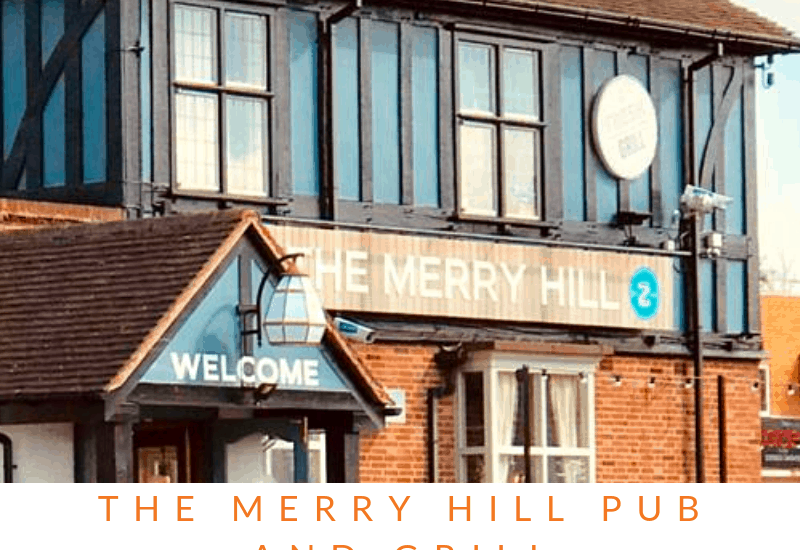 We were very kindly gifted a family meal for free at the Merry Hill pub and grill in Wolverhampton. In return for an honest review . All opinions are my own. On entering the pub I will say I was a little concerned with how our experience was going to be. As many of the windows to the main door and enternace area had been smashed. It didn’t fill me with confidence that this was a pub that I would want to take my family to. However we did go in as we thought we would give the pub the benefit of the doubt. As this may of been something completely innocent that happened for the reason why the windows had been smashed. Like they say never judge a book by it’s cover. We went straight to the bar and was greeted by a welcoming member of the team. Who then showed us to our table. We were taken through the main pub into what they call a community room. It’s like a pivate little room set up with tables that had been reserved. For us this room was lovely as it was away from the main hussle and bussle of the pub. Looking at the menu I was really surpised with the wide range of different options there were. From light bites and sandwiches to meals to fill to hungriest of tummies. The children’s menu also really impressed me . What I liked the most was that the menu was split into different ages with different options on. Which was perfect for mine as it meant to portion that came for them was perfect for their age. 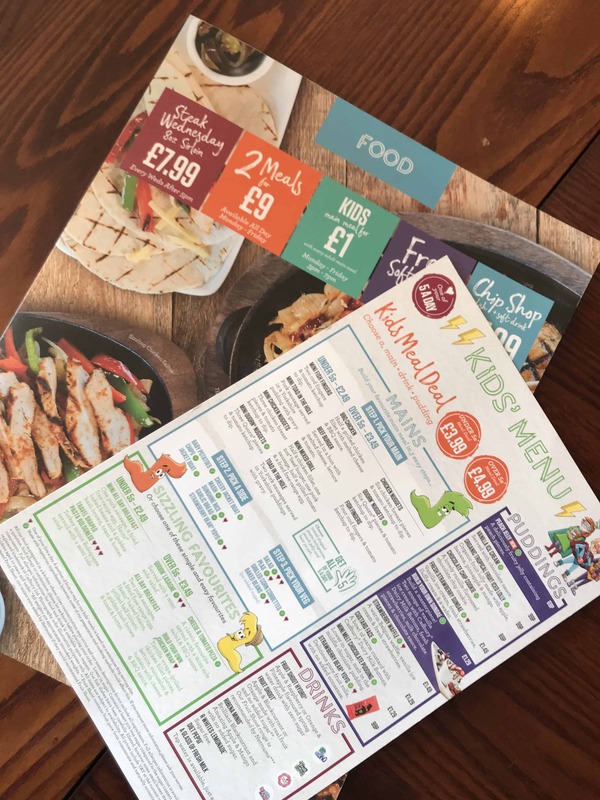 I can also see that this is really great for older children as they can have a bigger portion and a wider variety of meals to pick from. 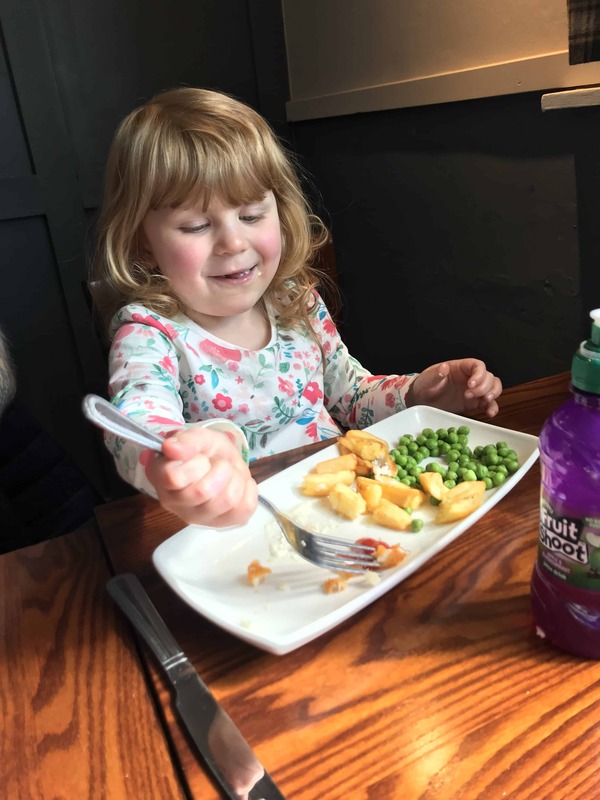 Like a lot of family pubs the childrens meals came as a meal deal so a drink,main meal and a pudding for one price. Which Ava was excited about especially as they had a chocolate cookie on the puddings. Is is just our family who has to take a look at the puddings even before they have eaten their mains ? A member of the management team then came to take our order. He then told us that some of the meals weren’t avalible due to them changing the menus next week. Thankfully everthing we had chosen for our mains was avalible so it didn’t make any difference to us. They did however tell us when our meals came that they didn’t have enough sirlon steaks so they had upgraded our steaks. Which me and Jordan were very happy about. Our meals came and I was so impressed. The presentation of them was really good for a family pub. My first impressions were really good. Both mine and Jordans plates were full to the brim of what looked like really yummy foods. The children’s food was a really good portion size and looked as equally yummy as ours did. Alby literally couldn’t wait to try his nearly pulling it off the table when I was trying to get it ready for him. Kids aren’t very good waiting are they. They see food and need it no matter how hot it is. 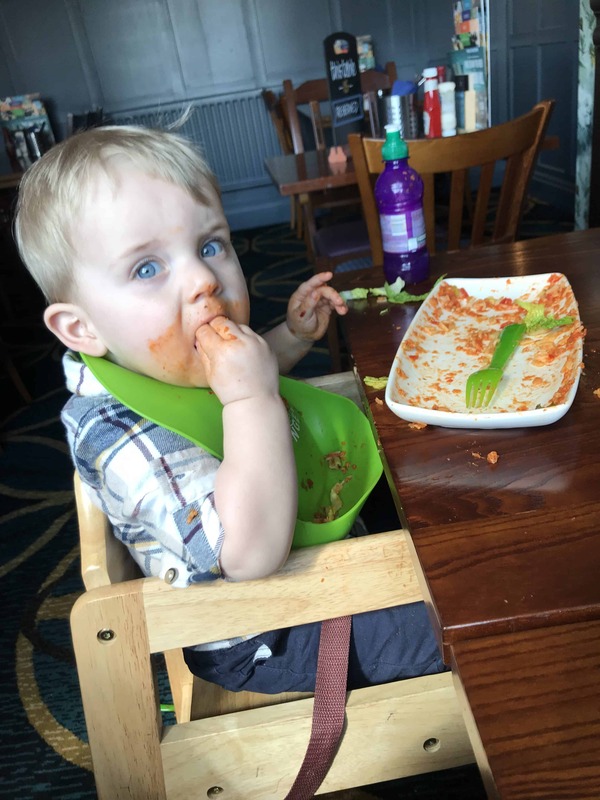 Both kids really loved their food. Ava who never usally finishes a meal did really well. 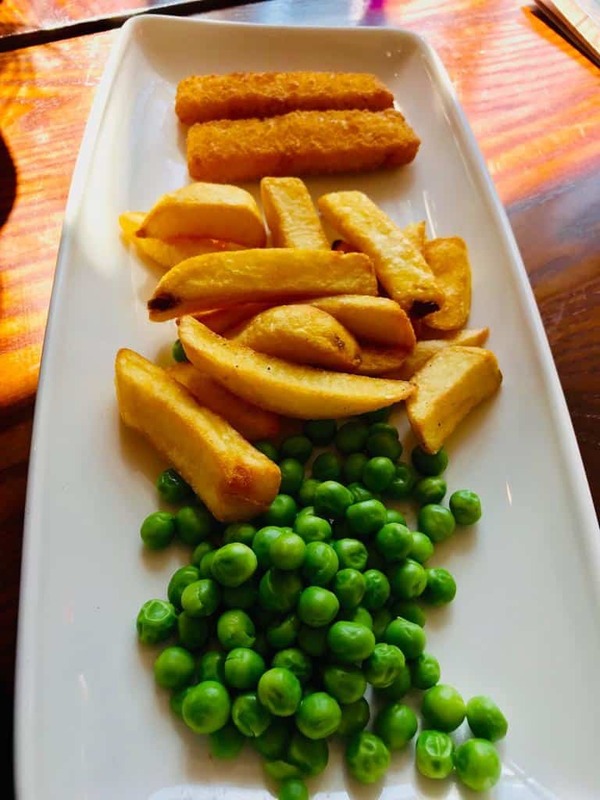 The fish in her fish fingers was white a flaky and peas were full of flavour. Albys pasta he literally inhaled it . 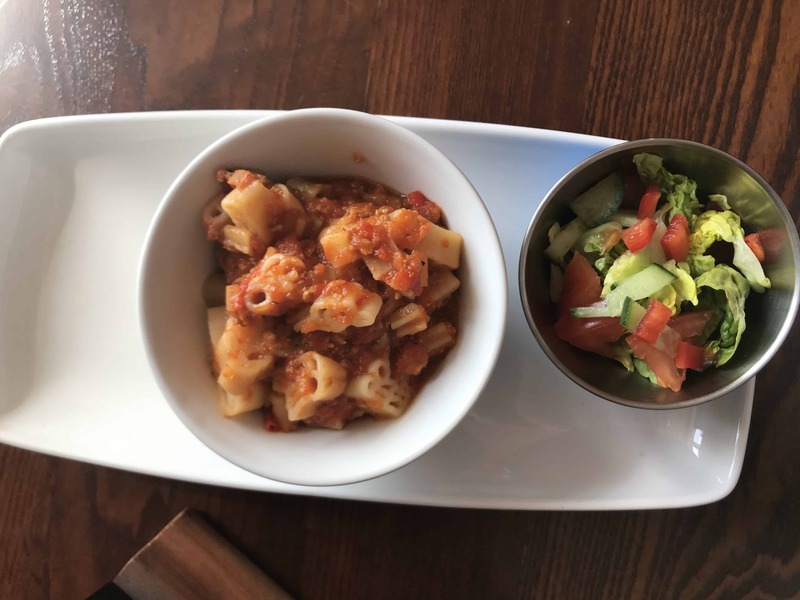 The sauce was really flavoursome and I really liked the side salad option as a side. As this is something I dont generally see as an option on children’s menus. It was also nice to see a dish that didn’t come with chips. As Alby isnt a chip lover so having different options was really nice to see. 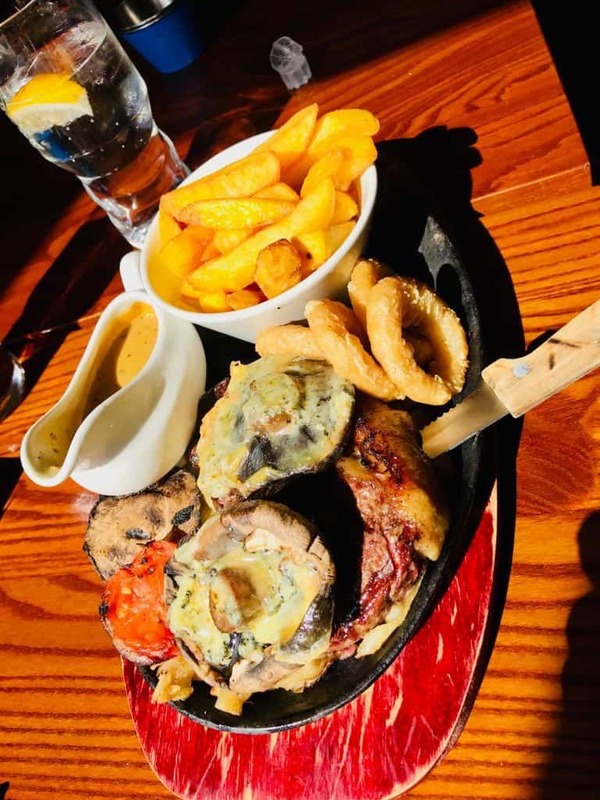 Both me and Jordan went for a loaded black and blue sirloin steak Which had been upgraded to a Rib-Eye It tasted just as good as the write up made it to sound like. I dont generally go for things on sizzler plates but this one didn’t disappoint. The only thing I would say is there was a lot on the sizzler which did make it hard to eat. So maybe a side dish would of made a nice addition. Although I didn’t ask for one so they may of brought one if I asked. Then it came to pudding time Ava was excited about her choclate cookie . The gentleman cleared the table and said he would be back to take our order. Sadly when he took our order every pudding we had chosen wasn’t avalible. Ava was a little upset about this but was soon brought round by the thought of a create your own icecream sunday with chocolate buttons. The puddings came and although I was a little gutted the waffle I wanted wasn’t avalible. 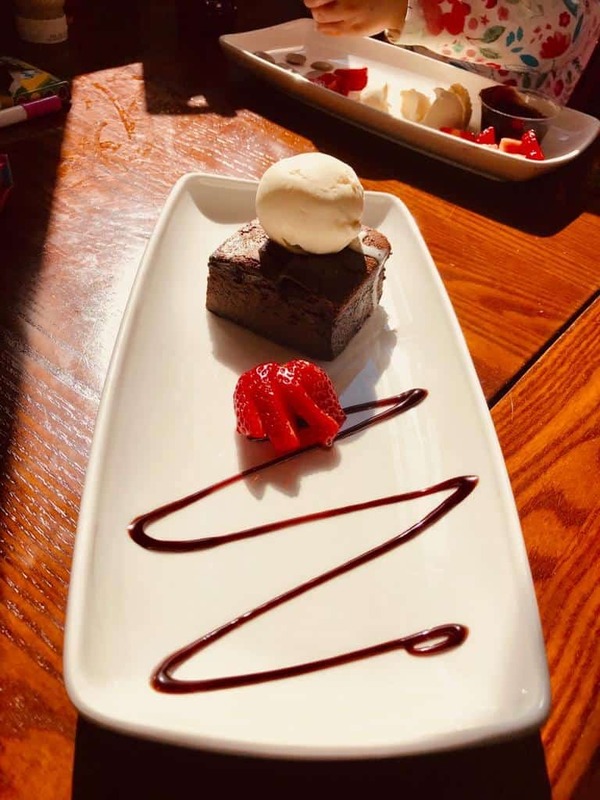 The chocolate brownie I chose did look good. Although I was a little jealous of the pudding Alby had. It looked like sponge chocolate goodness. Albys eyes literally lit up when he saw it. Once he got eating it he Just reminded me of Bruce from Matilda. 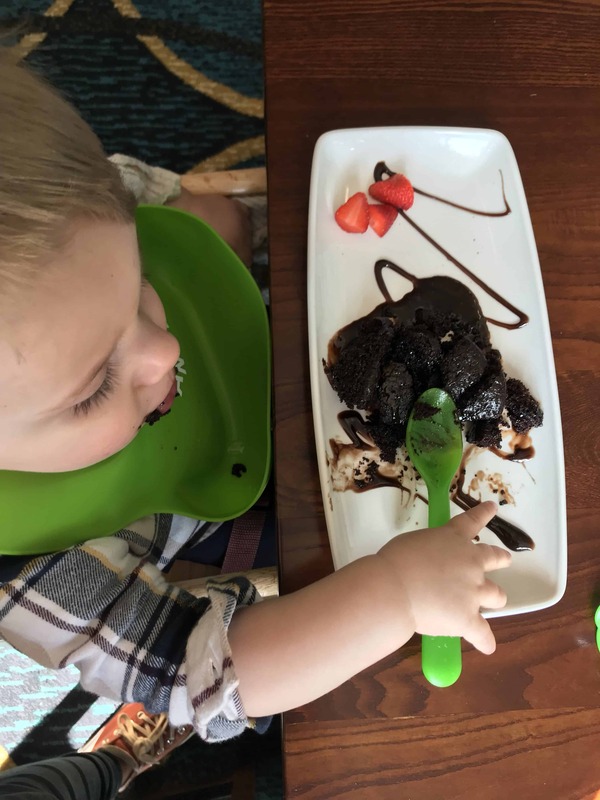 Chocolate cake around his mouth, gave up on a spoon as his hands got it in faster. Ava was just as excited with her pudding thankfully . 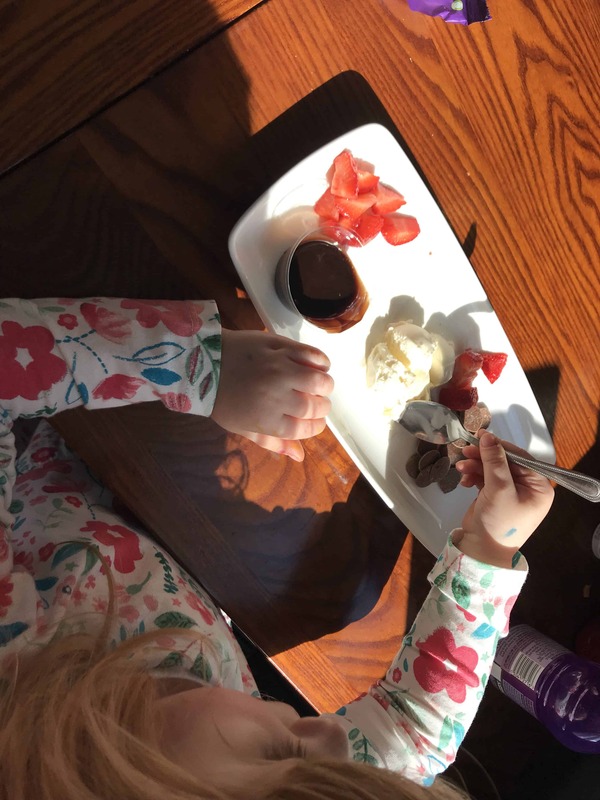 Chocolate sauce,chocolate button, ice cream with strawberrys and honeycomb what more could a three year old want. Both myself and Jordan had the chocolate brownie which came with Icecream. If you like a rich chocolate brownie then this is the pudding for you. I wasn’t able to eat it all as it was really rich but the half I did eat was really tasty. Jordan like always cleared his plate. 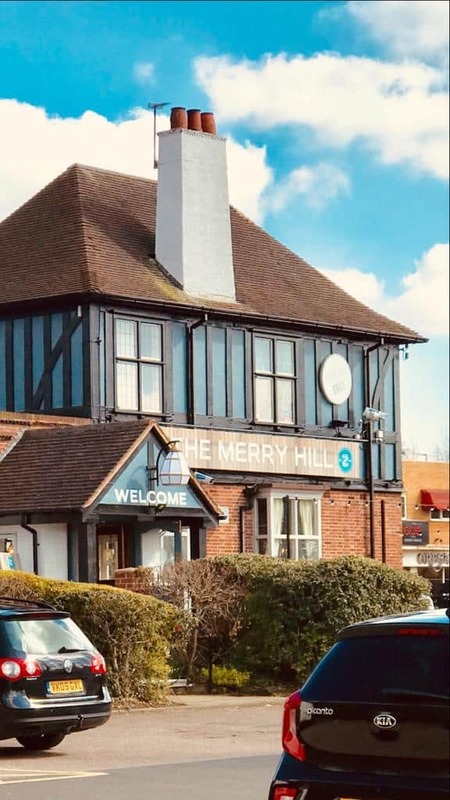 Overall I was really impressed with the food at the Merry Hill Pub and Grill. I was really glad that we gave it a chance and didn’t walk away. The food was fresh and full of flavour and was presented really nicely. The toilet faciclites could do with a little TLC. Some of the doors didn’t have locks on and I’m not sure when some of them last had a good clean. Which was sad to see. 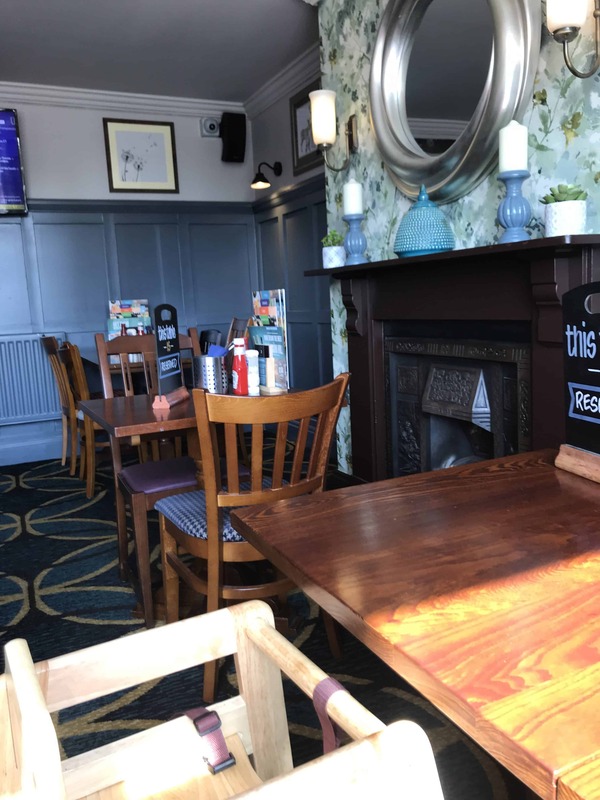 As the main pub it self and the community room that we were in were really clean and presentable. Although the pudding we originally wanted weren’t avalibe the ones we did have were really yummy. Ava keeps telling everyone about her icecream at the pub. If your looking for a reasonable priced/ cheap meal out but still want to have fresh and good qulity food then this is a great choice of pub to go to. The staff are really lovely and welcoming which in my opionin is really important. There is nothing worse than looking at the staff and being able to tell that they wished they weren’t at work.